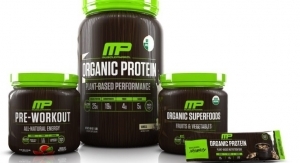 Capstone Nutrition, Ogden, UT, and MusclePharm Corporation, a Newark, OH-based sports nutrition company, have signed a set of multi-year strategic supply agreements. The agreements provide MusclePharm long term access to Capstone’s development and manufacturing services, expand the production capacity at Capstone to meet additional requirements, and provide MusclePharm with certain warrants and options. The initial term of the agreement is 7 years, and MusclePharm has committed to produce a minimum of $90 million of its powder and capsule business with Capstone each year after a scale-up period during 2015. The agreements enhance a capacity expansion program at Capstone’s state-of-the-art manufacturing facilities in Ogden, UT and in Spring Hill, TN that was already underway. As part of the agreements, MusclePharm will pay $2.5 million in capital for specific capacity expansion at both facilities. This additional capacity will ensure that Capstone can continue growing with all of its customers while delivering the additional business volume for MusclePharm. “We expect that the expanded capacity, capabilities and buying power represented by the additional MusclePharm business will have advantages across our entire customer base,” said Peter Miller, Capstone’s chief innovation officer.